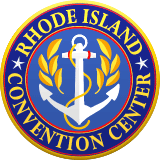 Located in the heart of downtown Providence, the Rhode Island Convention Center Authority operates the Rhode Island Convention & Entertainment Complex, which includes the Rhode Island Convention Center (RICC), Dunkin’ Donuts Center (DDC), Veterans Memorial Auditorium (The Vets), and two parking garages. The Authority, governed by an eleven-member board of commissioners, works with several marketing partners to book its facilities, including SMG, which manages the DDC and RICC, Professional Facilities Management (PFM), which manages The Vets, PSE Agency (PSE), the exclusive sales & marketing agent of all three facilities, and the Providence Warwick Convention & Visitors Bureau (PWCVB). The Authority and its staff strives to provide the community with world-class concerts and family shows, high-profile sporting events and amazing conventions and tradeshow. The staff prides itself for outstanding service for event planners and promoters, while also maintaining a safe, clean and professional environment. To construct, manage and operate facilities used to house conventions, trade shows, exhibitions, meetings, banquets, concerts, sporting events, family shows and other events, as well as facilities which are related thereto such as parking lots, garages, office buildings, including incidental retail facilities located thereon. To generate positive growth in the surrounding community and the State of Rhode Island and serve as a positive influence on the quality of life in Rhode Island.